We’re not always vocal about it, but some crocheters and knitters believe that their yarn craft is superior to the other. It’s usually a good-natured feud, resulting in the concession that we’ve just grown accustomed to doing one or the other and we’re probably not going to change. Although I’m firmly in the camp of crochet, I admire the delicacy and fine fabric of knitting. There are benefits and drawbacks to each, and I often dream of having the best of both worlds without having to become proficient in both. Because the textile gods are merciful—or because crocheters are quite clever—there are several methods for creating knit-look crochet fabrics. They don’t necessarily have the same texture or flexibility, but they will achieve a knit appearance and expand your crochet skills. There are a few wonderful guides to knit-look crochet already in existence, and I recommend checking them out if you’d like to get a taste of these techniques. In some ways, this is new territory—knit-look crochet has only recently started to work its way into mainstream crochet magazines and pattern books in a significant way. Some of these techniques, however, are thought to be much older than the modern standards. Crochet using only slip stitches, for example, may have originated in the Middle East, South America, or Northern Europe long before crochet’s “official” appearance in the early 1800’s. This is called Bosnian crochet, shepherd’s knitting, pjoning, and about 10 other names in different languages. Beyond slip-stitch crochet, there’s the stockinette doppelgänger called waistcoat stitch, along with stitches that mimic knit ribbing, linen stitch, and garter stitch. It’s nice to have a visual to go with all these stitches as well as a quick reference for how they’re constructed. I’d never seen a quick guide to knit-look crochet and thought it might be helpful to other crocheters, too. So I created one (below). This is by no means a comprehensive guide. There are beautiful cable crochet stitch patterns, alternate forms of ribbing, and many other knit-look stitches I haven’t included. I selected stitches based on their simplicity, how well they mimic knitting, and the texture of the fabric they create. They’re also just personal favorites. 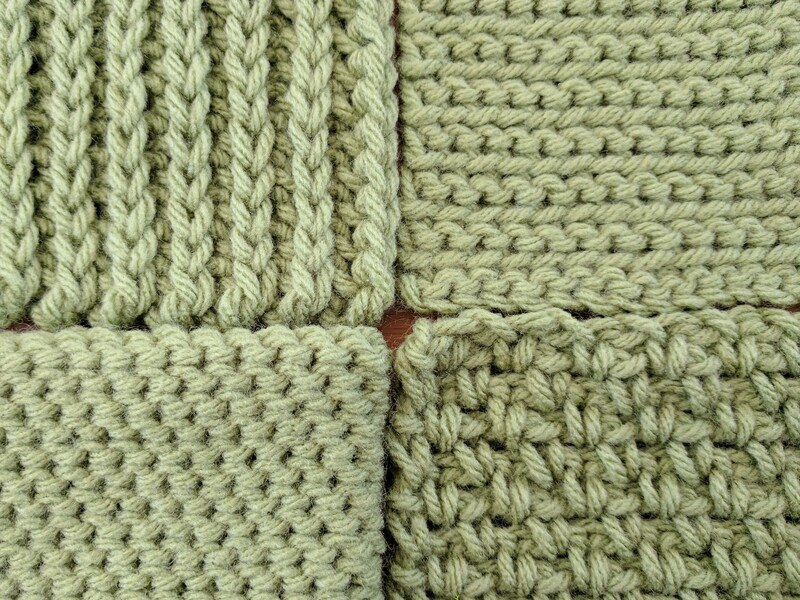 I’ll also be creating tutorials on selected knit-look crochet techniques soon, so stay tuned and let me know if you have any questions or tutorial requests!